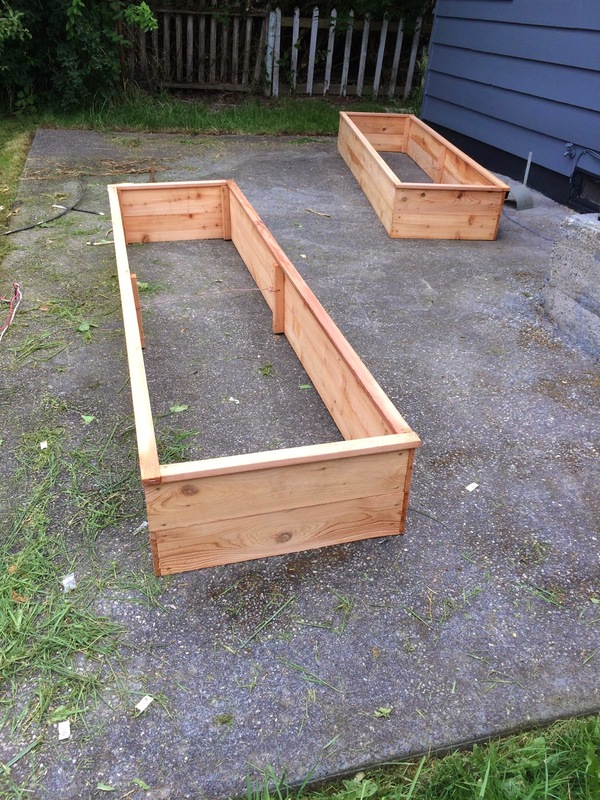 We built some simple cedar raised beds and filled them up with veggie starts. We were a bit late to planting but they are looking good! 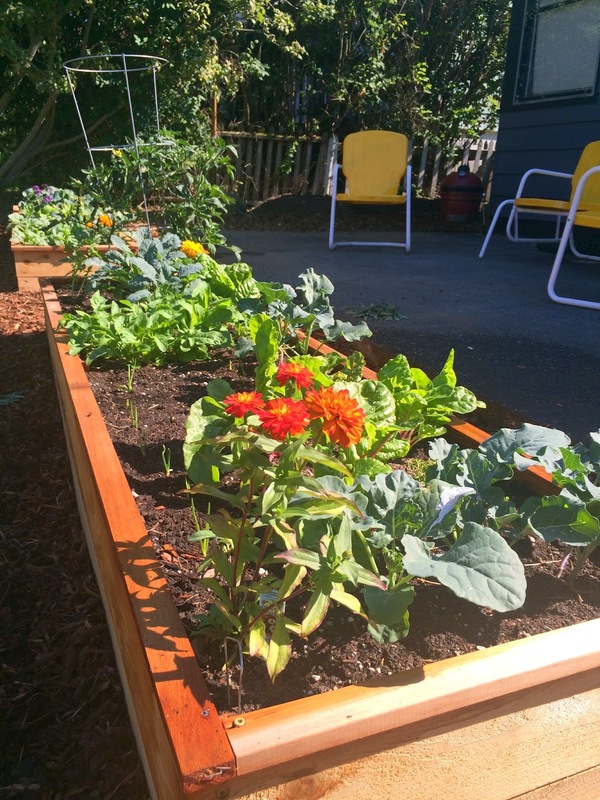 The boxes are made of cedar fencing, which may prove not to be the most long lasting, but with major backyard changes coming next year we thought it best to keep it simple in case we have to move them anyway. And here they are full of future food.